In the first part of this series I described how you can secure your WCF service. The first part describes some of the most common security modes, how you can configure them and how you can add custom authentication. Part 1 ends using the TransportWithMessageCredential security mode with a custom username/password validator. However, authorization in that scenario is not covered. That’s going to be the focus of this post. If you want to enable more complicated scenarios, for example if you need to check if the user has two roles you need to test that programmatically. I’ll show you that in a second, but first I need to mention the ServiceSecurityContext class. You probably also noticed that when the TransportWithMessageCredential security mode was used we were able to get the current user’s username from the ServiceSecurityContext but not from Thread.CurrentPrincipal. This is because we need to setup a custom authorization policy (because we are using custom authentication). You need to create an custom authorization policy and in it, set the Principal (this will become clear with an example). And IAuthorizationComponent just defines an string getter for a property named Id. The Id needs to be unique, but can be whatever you want; I couldn’t find information about ClaimSet, all the examples I’ve found just implement it as return ClaimSet.System;, so if you have more information about this, please let me know in the comments, otherwise… just return ClaimSet.System. The evaluate method, if it returns true it stops other authorization polices from being evaluated (there can be multiple authorization policies, that will become clear when we create the configuration to add our own configuration policy). Where is the custom authenticated user’s username? 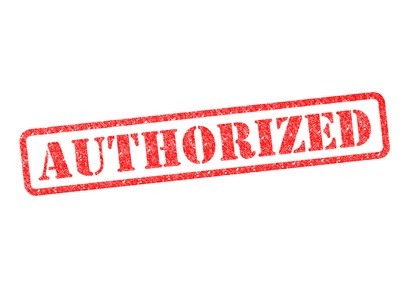 What do I have to do in the IAuthorizationPolicy‘s Evaluate method to enable the use of the PrincipalPermission attribute in the service implementation? 1. Where is custom authenticated user’s username? In the EvaluationContext instance that is passed in as a parameter to the Evaluate method there’s a property named Properties that is of type IDictionary<string, object>. In that dictionary you’ll find a key named “Identities” which contains a List<IIdentity> instance. Usually it will only contain one element. If you are using a custom UserNamePasswordValidator (see Part 1) and the the class name is MyCustomUserNamePasswordValidator you’ll find one item in that list whose authentication type is “MyCustomUserNamePasswordValidator”. The username is here: identity.Name. 2. What do I have to do in the IAuthorizationPolicy’s Evaluate method to enable the use of the PrincipalPermission attribute in the service implementation? You have to set a property named “Principal” in evaluationContext.Properties to an instance of an IPrincipal. The particular type of IPrincipal implementation you choose is not important, because all of them will implement IsInRole, and that’s what is important to enable the use of the PrincipalPermission attribute. If you would want to see a more elaborate custom UserNamePasswordValidator and IAuthorizationPolicy, maybe using ASP.NET Identity, please let me know in the comments so I can decide if it’s worth dedicating some time to write about that.